Samsung Electronics had by brochures and special invites kept everybody rapt in anticipation of the big launch of its Galaxy SIV. The event occasioned much stir and was witnessed by reporters, technology companies including arch rivals, and gizmo enthusiasts. The launch was official when the unveiling happened by Samsung at 4 in the evening at Radio City on 15th March, at Music Hall in midtown Manhattan. The Galaxy SIV, prior to its launch was looked at to be the trendsetter of a new age of smartphones, but when the phone met the press, that impression was gently overturned. Not that this phone disappoints, but it really is another Samsung smartphone, with new wings giving it added power for smoother performance. 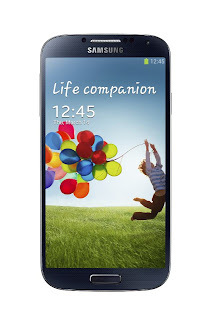 This is Samsung’s 2013 flagship model, we espouse, and it works the latest Android 4.2.2 Jelly Bean, and has been given new and improved hardware and a host of software features too. It is no doubt better than the Galaxy S3, perhaps not by miles, but considerably. The extremely big size screen with great graphics and high quality software eventurns the hype of the iPhone to humdrum. 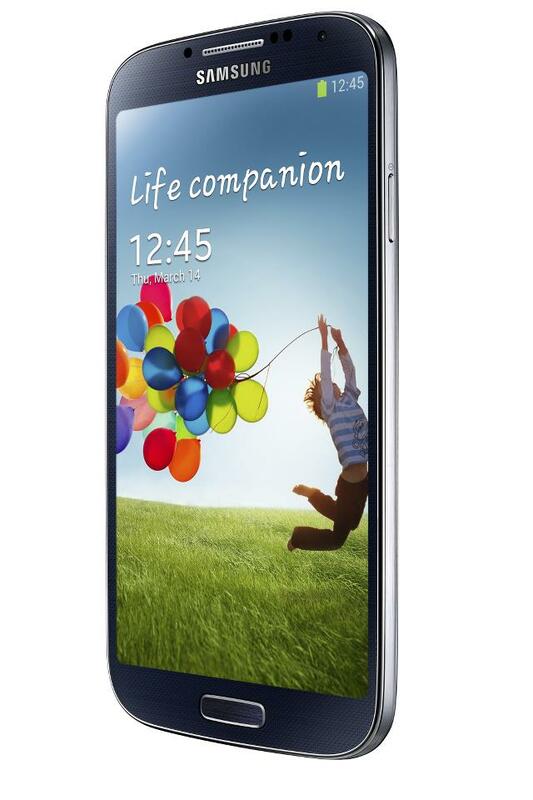 The Galaxy S4 stays true to the Galaxy look, in form and body. However each of these features has been heightened to the maximum to make it a much better handset all in all. The screen is a 5 inch wonder, with a breathtaking resolution of 1080p. The battery has been given a boost and is a 2,600mAh power giver. The processor, is as guessed, an 8 core 1.6GHz monster or alternatively a 1.9GHz quad-core. The rear camera has been pixelated with 13MP and there is tons of internal and external storage space. The phone, like the S3 has nice rounded edges and a narrow physical home button. It is about 7.9mm deepand weighs in at 130g (4.6 ounces), which means it has gotten lighter and more slender. The phone decidedly feels very large and unreal. The encasing is a plastic one like always. Samsung always looks to safety to protect its delicate and fine interiors, and therefore the plastic choice versus glass or metal, like some of its competitors. Just above the display there are a range of sensors along with the 2-megapixel front-facing camera. This camera does not have a flash, which needs that anyway when its main purpose is for video calling. Right below the screen are the capacitive menu and back buttons sitting on either side of the physical home button. On top of the phone is that IR emitting technology which can shoot infrared light to make it possible to control the TV directly through your handset. On the inside of the back cover is the microSD card which is capable of storing up to 64GB in external memory, as also 64GB internal storage. With the most up to date version of Android, can one want more? That OS works very well along with Samsung's Touch Wiz overlay. Perhaps carriers of this phone will get a KeyLime Pie upgrade too. There is also the usual Wi-Fi, Bluetooth, and GPS toggles. Apart from a new range of software features like S Voice assistant and S Memo Note apps, Samsung has given the SIV Eye tracking software that responds to gestures. Using this you can scroll down the screen using the said eye-tracking software. There is also Air View that you may remember from the Galaxy Note 2. The interface and features are enhanced and operate well. This paired with a powerful 13 Megapixel camera, makes the SIV a success on the snapping and recording front. The dual-shot mode lets you take photos and videos from the front and back facing camera, and these recordings and snaps can be combined into one. That’s a refreshing new feature and an answer to those panoramic features requiring tedious panning of your hand across a scene. There is also the Sound & Shot feature, through which you can take a picture and capture almost 9 seconds of audio. Drama Shotcombines everything from a burst shot to merge it into a single frame. Cinema Photo, allows for the animation bone to be tickled, where animation can be effected to a portion of the video leaving the rest static. Eraser modelets you delete any object or person from a shot. Hmm, mixed emotions on this one. Performance wise, the SIV has received an uplifting amount of features. These are backed by a sustaining new battery. The SIV will support LTE and perhaps even LTE roaming for some countries. The models which will be available across different markets may vary and so the performance of them too. The big and wide screen along with fantastic features set this phone apart from most models existent in the market. A lot of the gesture features are akin to the ones you will find on HTC offerings. The screen is very sensitive which means for colder climes, operating with gloves will be a breeze. The SIV may reach markets worldwide by April and May, just ahead of the launch of the latest iPhone. Prices will vary depending on the country of course, but the phone will undoubtedly carry a heavy price tag. The Galaxy SIVdoes not disappoint for the most part, since hardware wise, it has been given the best. It has even thrown off some weight and dimension, despite the better features and Samsung has managed this beautifully. The Samsung Galaxy SIV being a premium phone looks and feels premium. The phone is soft to touch but is not short of being sturdy and strong. The features will match its present day competition and may survive a year full of flagships from its competitor companies too. However the real test will only be once it is put to actual use. The body of the phone is not particularly awesome, as expected given its increased and improved features, yet the fact that it sticks to its Galaxy individuality excuses this. The super big size of the screen is captivating, and easily marks it to be a phone of quality. In terms of features, while it is better than the S3, it is not beyond compare. This new phone could have been perfected in terms of its unique software features since there are glitches in most of them. Overall, it is a good flagship model that will continue to keep up and swell Samsung’s enormous share in the consumer market. Julia works with 91mobiles - an ecommerce mobile comparison company. Her passion for upgrading her knowledge puts her to research on topics relevant to her industry. Besides, she also likes to share her findings by writing about them in her free time.